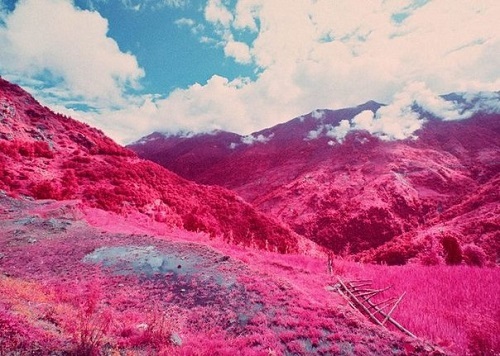 Highlands of Nepal presented peoples living there a great variety of beautiful stones. These beautiful minerals boast riot of colors. 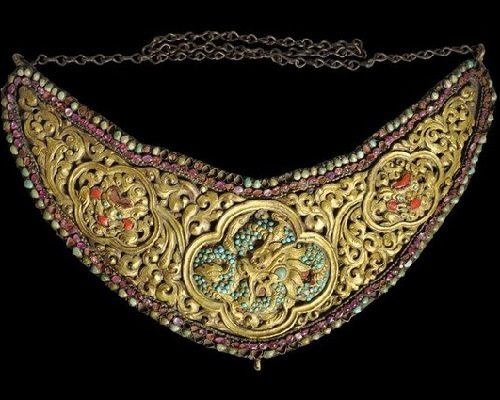 These same mountains, as a natural barrier to civilization, have preserved unique Nepalese style decorations, which today are considered the oldest on earth. 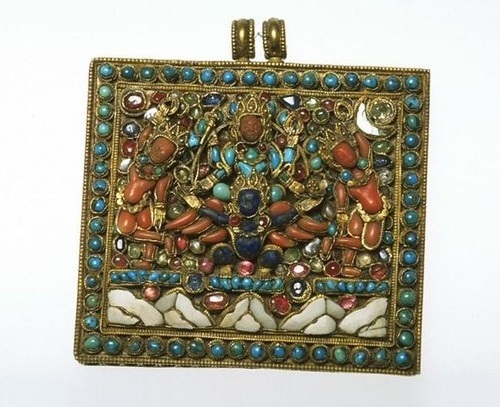 The origin of the Nepalese Ethnic Jewellery art goes back to many centuries before our era – the era of the gods and legends which narrate the sacred Vedas. 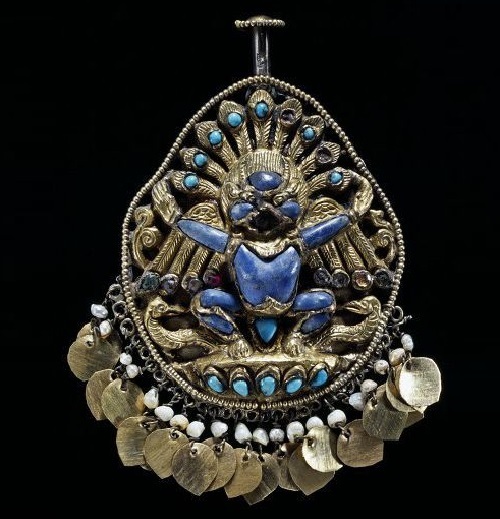 Historically, the rise of jewellery art was fixed in Nepal during the rule of The Licchavi Dynasty (10th century) and The Malla Dynasty (15th century). 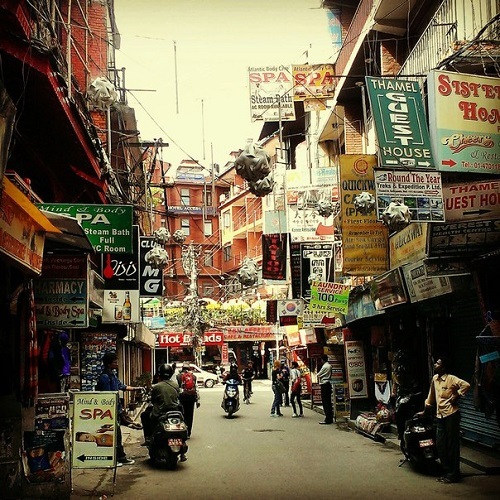 Of the 70 nationalities living in Nepal, jewelers generally come from tribes of the Kathmandu Valley – Newar people. 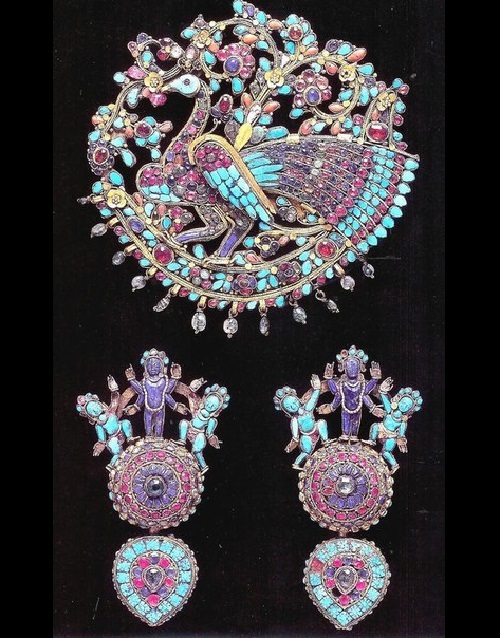 Ninety percent of all jewelers belong to those ethnic groups that traditionally pass their craft from generation to generation. 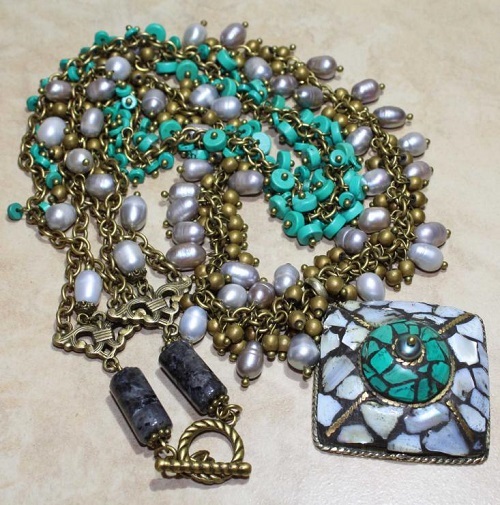 The key elements of Nepalese Ethnic Jewellery – handmade pendants or beads of gold, brass or silver, richly inlaid with mother of pearl, turquoise, coral, carnelian beads and exotic Dzi bead. These parts are as unique, as the culture of the region. 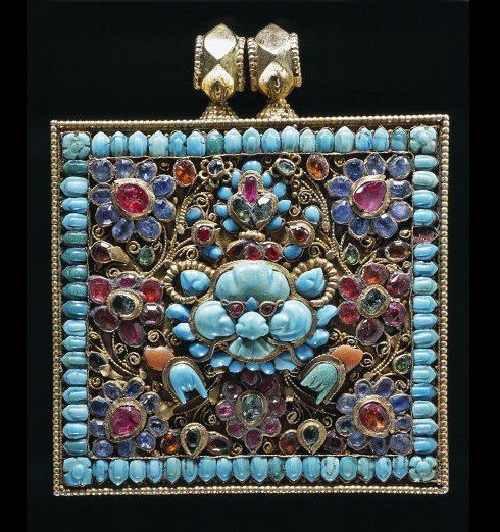 Tibetan decorations attract and instantly impress with the bright and rich colors – blue, green, turquoise, red coral, amber honey, shiny pearls skillfully and masterfully used in the massive complex compositions. The design of these decorations is simple, but the amount that can be worn, amazing! This can be a 5, 6 or more strands of beads of different lengths and sizes. 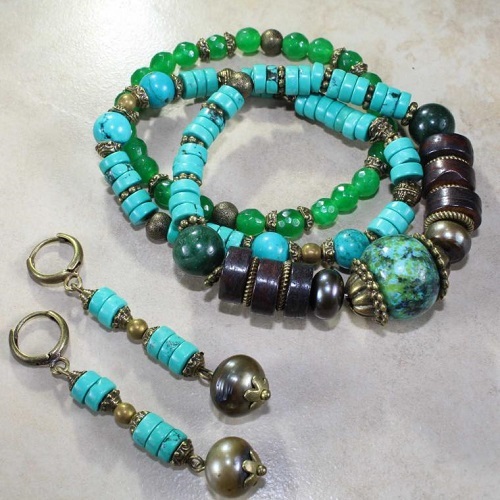 Dzi beads, called Tibetan beads, or Tibetan coral, are found primarily in Tibet, but also in neighboring Bhutan, Nepal, Ladakh and Sikkim. 3- eyed Dzi bead – a symbol of love, health, wealth. 4-eyed Dzi bead – a symbol of success, wisdom, confidence and calm. 5-eyed Dzi bead – a symbol of successful initiatives. 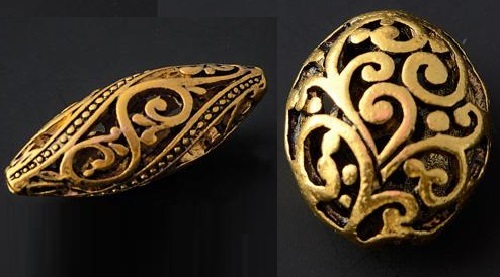 6-eyed Dzi bead – a symbol of surprising longevity. 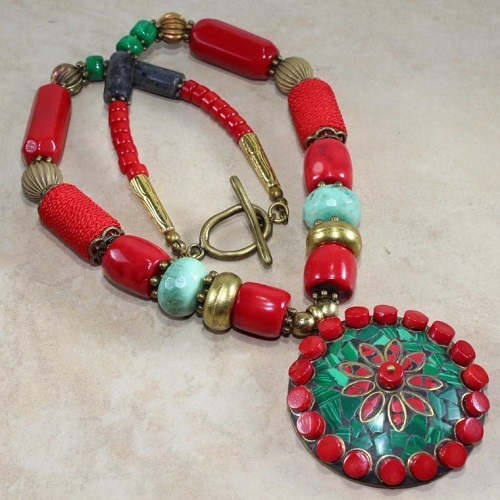 8-eyed Dzi bead – a symbol of restoration of physical strength. 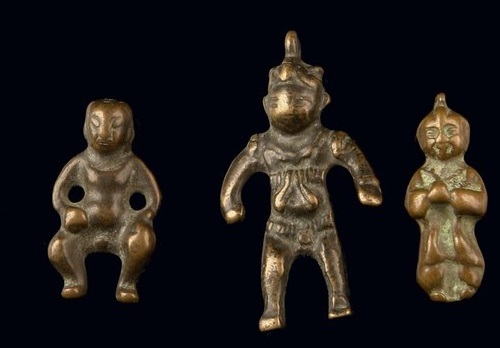 9-eyed Dzi bead – rapid success, wealth. 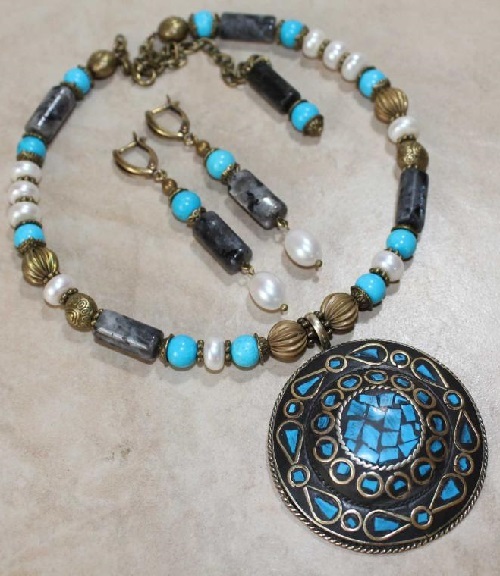 Of course, Nepalese Tibetans have lots of types and forms of jewelry – long earrings, big rings, containers for amulets, fasteners for clothing, items for hats. 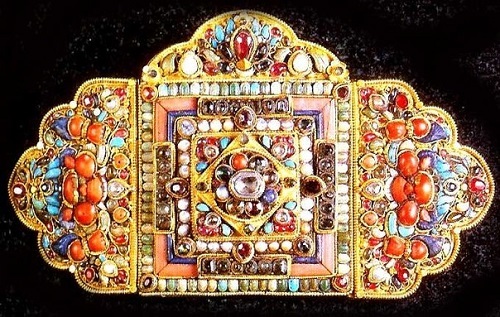 All they amaze with their craftsmanship, a riot of colors and sizes. 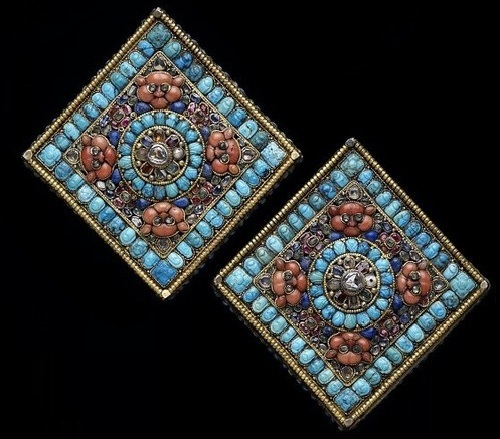 Rings decorated with large fragments of turquoise and coral, in earrings also prefer to use turquoise. 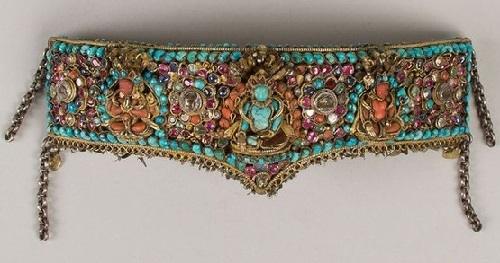 Welfare can be assessed immediately by the number of jewelry a woman is wearing. 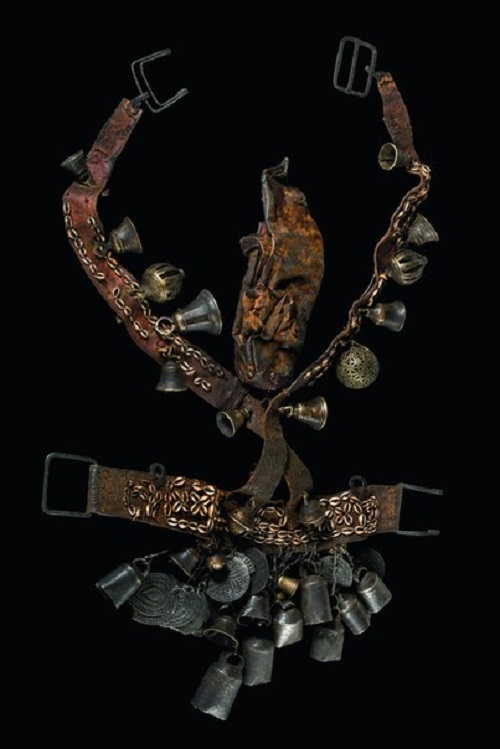 Perhaps in this context it is appropriate to recall the proverb “All I carry with myself.” This custom is associated primarily with the nature of nomadic peoples – the most valuable is always with you.